Fred Grewe shares stories about grace at the end of life. Did you ever ride in a car with a person who held his or her breath when passing a cemetery? That's just one manifestation of the American difficulty in thinking or talking about death. Fred Grewe was afraid of death himself, but he wanted to get over it. So he became a hospice chaplain, and helped more than a thousand people come to terms with their deaths. 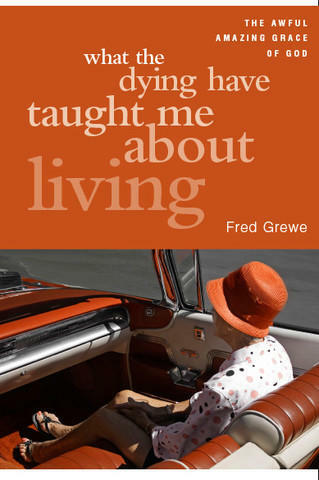 Grewe tells stories of several of his clients in his book What the Dying Have Taught Me About Living. He visits the studio to share the stories. Mary Landberg describes her work. Working with people approaching death is not for everyone. But it is a role hospice nurse Mary Landberg embraces. She has worked for years to ease the passage of her patients and ease the fear of death for patients, for family, for all of us. Landberg's efforts include the book Enduring Love: Inspiring Stories of Love and Wisdom at the End of Life. End Of Life Care: "Bringing Bubbe Home"
Debra Zaslow tells her story of life and death with her bubbe. When we allow ourselves to think about death, we often choose to think about relatively happy circumstances: dying at a ripe old age, at home, in bed, surrounded by family. In real life, it's seldom that way. 80 percent of Americans die in hospitals or nursing homes. Debra Zaslow did not want that fate for her grandmother, her bubbe. So she brought the 103-year-old woman home, to live out her final days there. The poignant story is told in Zaslow's book Bringing Bubbe Home.